Tolkamer, 28/6/2018 – With the placement of the 31st section block, the Celebrity Flora hull (our yard number 488) is halfway its erection. When ready, this 7-decks hull of the expedition cruise vessel Celebrity Flora the hull shall be 21 Meters high on our yard’s slipway. The delivery is scheduled for next year, currently the production is in full swing. This shall be a unique vessel, a notable design, we look forward to getting her into the water. Foxhol, 07/06/2018 – Yard number 486, the last of a 6 –vessel order from C.O.C. (Kazakhstan) was successfully delivered on June 6th. All 6 tugboats are now on their way to – or already – in Kazakhstan, and the first ones have commenced their works. 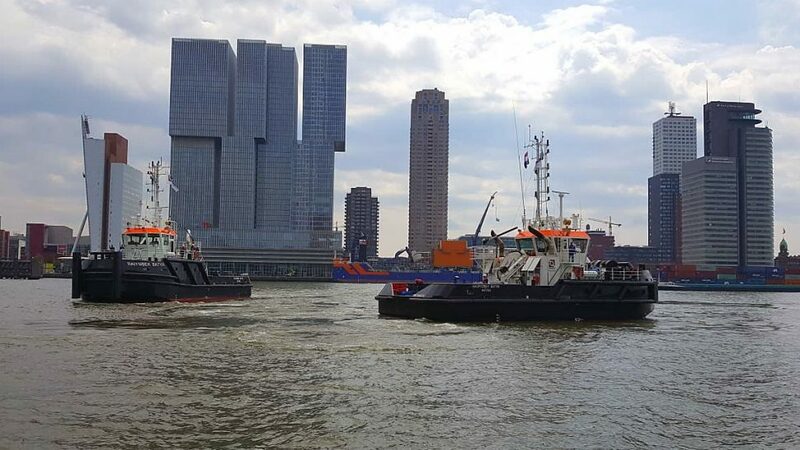 Rotterdam, 22/05/2018 – The two ASD tugboat Raiymbek Batyr and the harbour tug Nauryzbay Batyr have been officially christened at the Spido terminal, in front of the Erasmus bridge. The occasion took place in the presence of his excellency the Ambassador of Kazakhstan as well as the management of COC, their respected clients TCO / Bluewater, representatives of suppliers and subcontractors. After the christening ceremony, the guests were able to go on board the vessels and see the result. After that the whole party enjoyed a lunch whilst cruising through the Rotterdam area. The Kazakh television news net was present to film/report the event. Both COC and De Hoop were happy to receive compliments on their achievement in this project. In the next weeks the last vessel of this 6-vessel order is planned to be delivered. 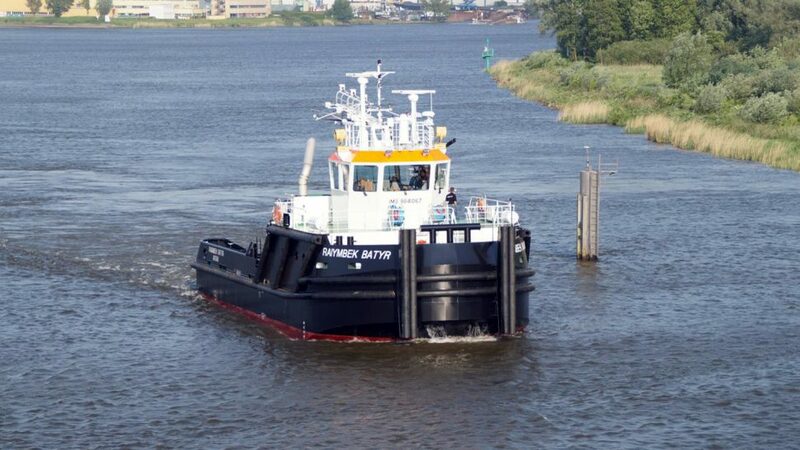 Rotterdam, 18/5/2018 – Today at 16 pm the ASD tug Raiymbek Batyr, build in Lobith under yard number 484, was handed over after successfully finishing her sea trial program. 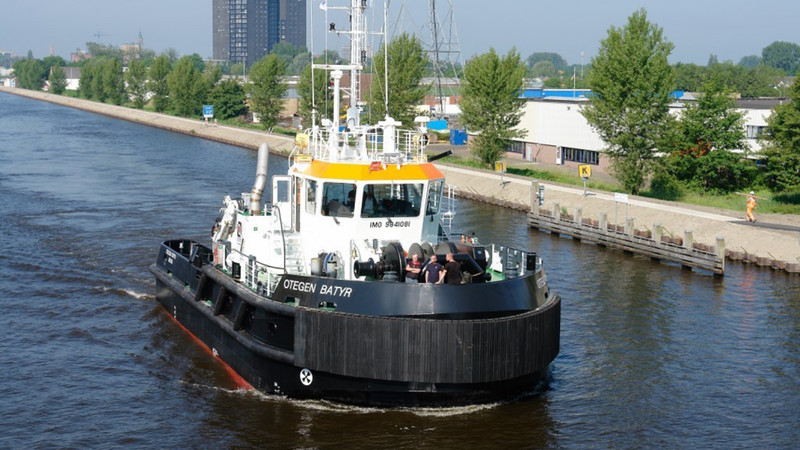 Earlier this week, on Wednesday, the harbor tug Nauryzbay Batyr (yard number 485 – build at the Foxhol yard) was delivered. She also performed very well on her trails. Coming Tuesday both vessels will be christened in the Rotterdam harbor area. BOGENBAY BATYR DELIVERED TO C.O.C. 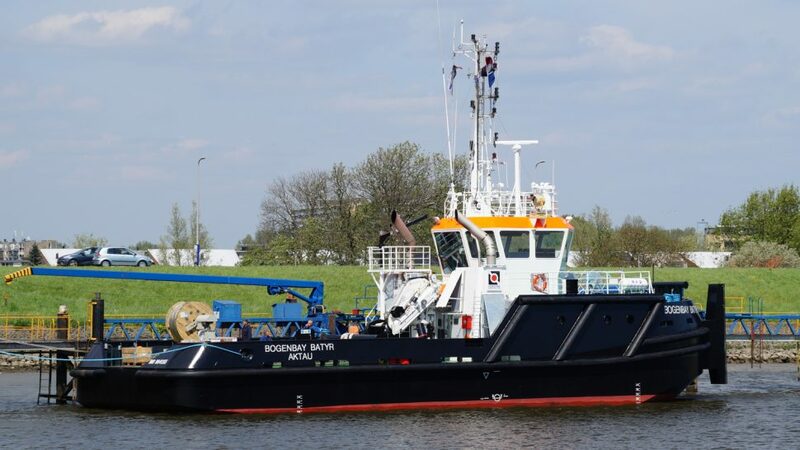 Rotterdam, 8/5/2018 – Last Friday, the 3rd ASD-tug Bogenbay Batyr was delivered after she successfully performed her trials. The vessel is expected to leave towards the Caspian Sea in the next two days. 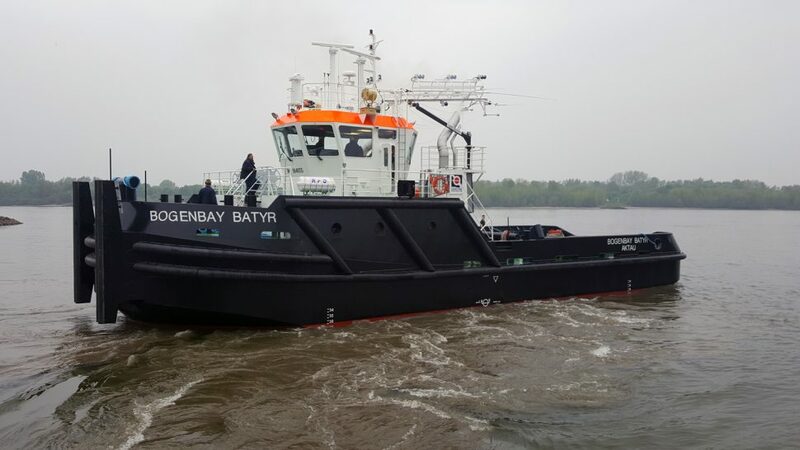 Tolkamer, 29/04/2018 – This morning the Bogenbay Batyr , the 3rd ASD-tug in a series of 4 of this design for Caspian Offshore Constructions, has departed from the Lobith yard. During the next days, the vessel shall perform her trials. 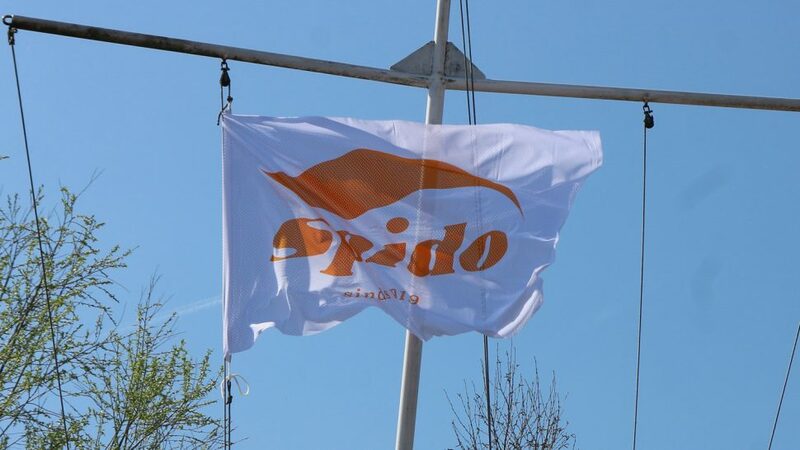 Foxhol, 18/04/2018 – Today we have proudly hoisted the flag for a new build order for Spido, the lead day-passenger company from Rotterdam. During the last year De Hoop and Spido teams have closely worked together. To design a next generation day passenger vessel with a modern Spido-look De Hoop has cooperated with yacht designer Cor D. Rover. Spido and De Hoop have a long relationship whereby De Hoop has designed and built three vessels for them in the past; the Marco Polo (1995), the Vasco da Gama (1998) and the Abel Tasman (2000). This new ship is intended as a birthday present, as the Spido company will celebrate its 100 year existence next year. Coincidentally, Shipyard De Hoop has its 130 year anniversary next year and also for the yard it feels as a (birthday) present. Foxhol, 17/04/2018 – Today the two shallow draft harbour tugs yard number 485 and 486 were launched at our yard in Foxhol. 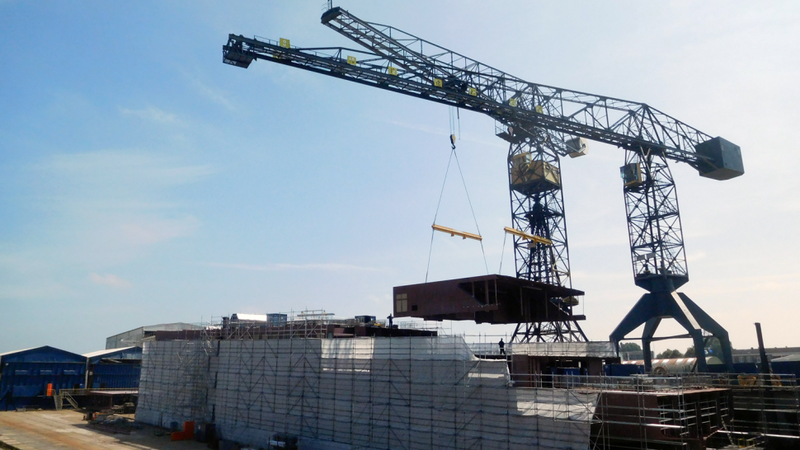 The vessels were build inside the two shipbuilding halls and today, with the help of Wagenborg Nedlift and Wagenborg Sleepdienst, both vessels were transported outside and lifted into the water. Two vessels launched in one day, both vessels are expected to be delivered in May. 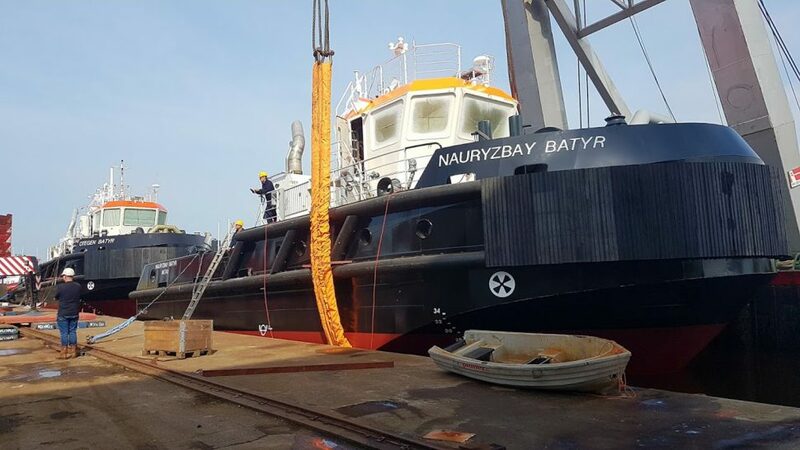 ASD TUG ‘KARASAY BATYR’ DELIVERED TO C.O.C. Rotterdam, 13/4/2018 – Today at 15hr the ‘Karasay Batyr’, our yard number 482, was delivered to Caspian Offshore Constructions from Kazakhstan. 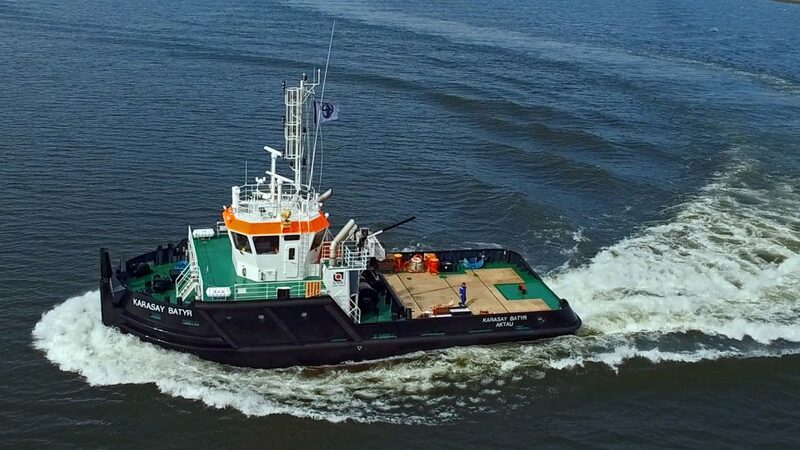 After successful sea trials earlier this week, the second vessel of a series of six tugs for this company is planned to depart early next week. 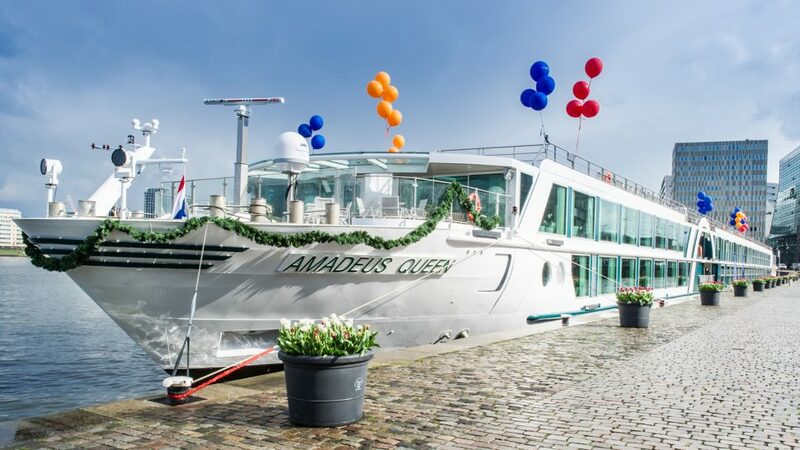 Amsterdam, 4/4/2018 – On the 4th of April the brand new Amadeus Queen was christened in Amsterdam, by Lueftner-daughter Corina. In his speech, dr. Wolfgang Lueftner announced the vessel as the most beautiful cruise vessel on the river whereby he thanked the yard and their subcontractors and suppliers. In return the yard was happy to see the result of this 14th vessel build for Lueftner Cruises. Again a step was made whereby many additional and innovative measures have been implemented to increase the experience of comfort and luxury for the passengers. More information on this vessel can be found on our website, under media/press releases.